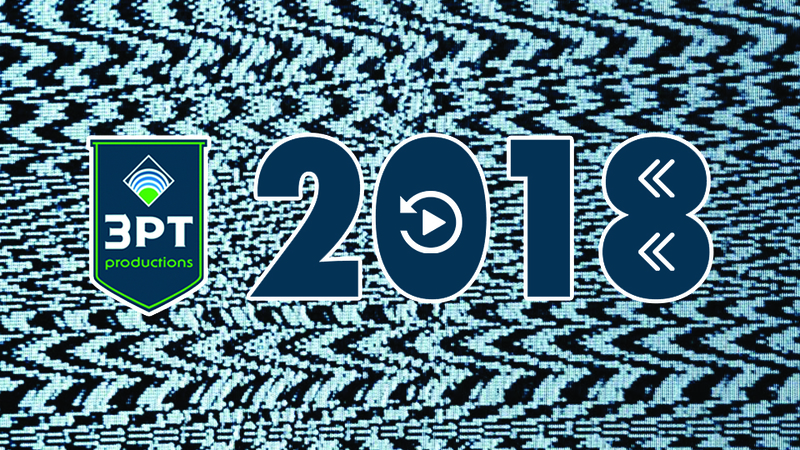 2018 was a nonstop thrill-ride for 3 Point Productions. 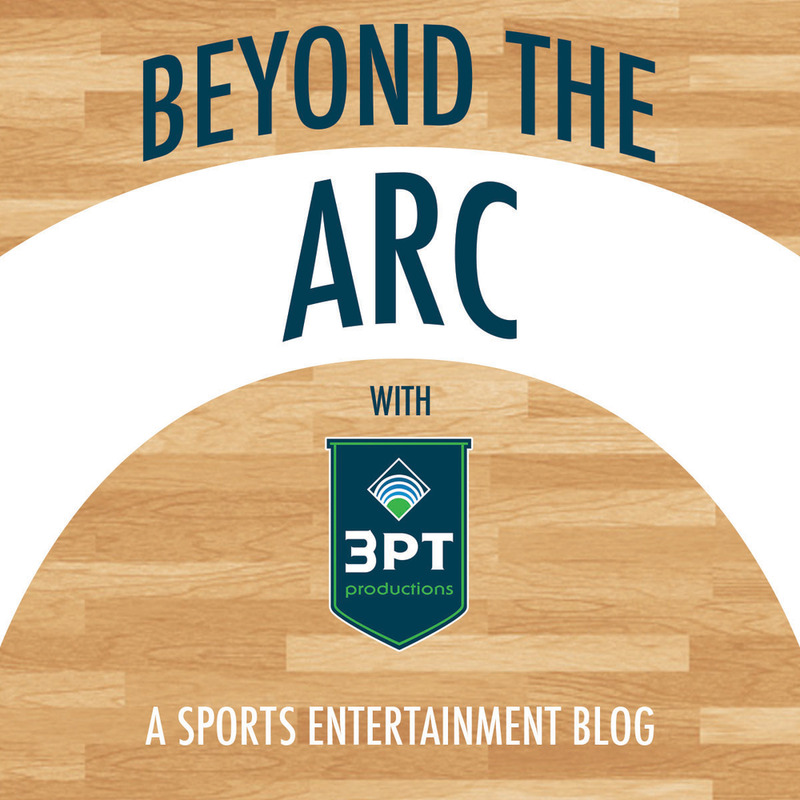 We accomplished more than we ever have and consequently, our ‘Beyond the Arc’ blog entries moved lower and lower on our list of to-do’s. Over a year has gone by since our last post, but with 2019 giving us new opportunity, I figured the best way to catch everyone up is to just rewind. So here’s a quick look back at a few highlights from 2018. Calvin Ridley stiff-arms another current NFL star, Minkah Fitzpatrick, during the 2015 Under Armour All-America Game. 2018 started off the way most years do at 3 Point, in Orlando for the annual Under Armour All-America Football game. The star-studded exhibition showcases the best high school seniors from across the country. Interestingly, since our first year producing the event was back in 2015, this became the first year former participants were eligible to enter the NFL Draft. As expected, there were some noteworthy players drafted including star wide receiver Calvin Ridley , cornerback Minkah Fitzpatrick and running back Ronald Jones II. We also saw some former players who stayed for their senior season make headlines, including Heisman Trophy winner, Kyler Murray. It’s safe to say we’ll keep a watchful eye on each NFL Draft moving forward. January also saw the conclusion to a consulting project with the San Antonio Spurs which began at the start of the 2017-18 season. 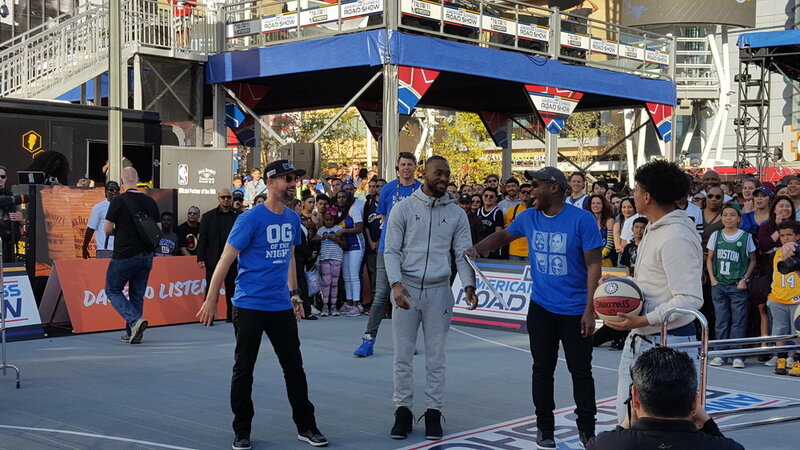 NBA All-Star, Kemba Walker, participating in fan contests at the NBA on TNT Roadshow at NBA All Star 2018 alongside our emcees, Scotty B & Wil. February presented another annual event weekend for 3 Point, NBA All Star, which was hosted in Los Angeles for the first time since 2011. Our crew split up to produce two simultaneous events. While Pat directed the first-ever NBA All-Star Media Day inside the LACC, the rest of the 3 Point crew held down the NBA on TNT Roadshow outside of Staples Center. NBA All-Star weekend is always a special weekend for all of us here at 3 Point, often seeming like an annual family reunion with our WNBA/NBA/Turner Sports Family. As you would probably guess, March Madness becomes the vibe at 3 Point during a certain stretch of the year. The week of Final Four is our largest event week in a calendar year. But first, March Madness in 2018 began in our own backyard with the Pac-12 Women’s Basketball Tournament. From there, we hit the road to Vegas for the Pac-12 Men’s Basketball Tournament. 3 Point spearheads the Pac-12 Fan Plaza, which is a fan fest outside of T-Mobile Arena during the Pac-12 Men’s Basketball Tournament. Parallel to the real March Madness, 3 Point progresses from conference play to Final Four Weekend. Madness ensued in San Antonio - we assembled a production crew of 25 top-tier industry talents to support 9 events over 4 days. Including the inaugural 3X3U National Championship game where NCAA D1 basketball players compete in a 3-on-3 tournament for a grand prize of $100k. Mascot Madness at the Pac-12 Fan Plaza in Vegas. 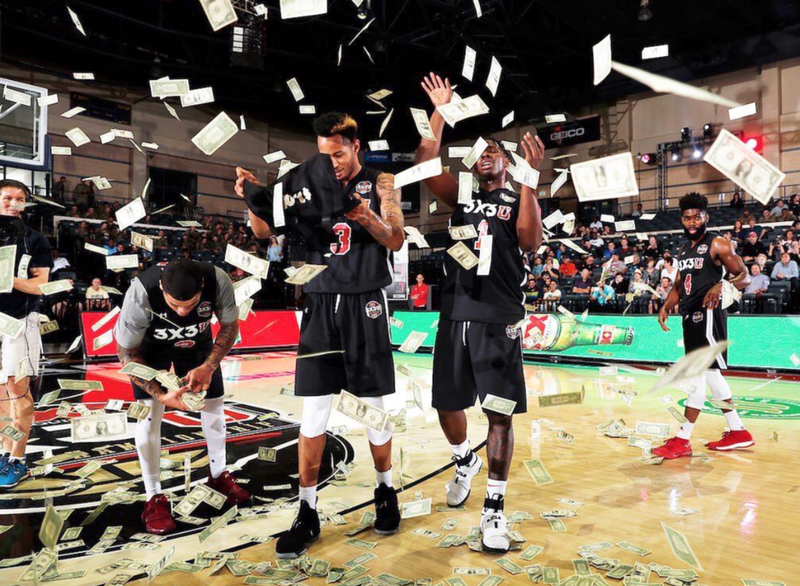 Intersport’s 3X3U National Championship introduced some new ways to celebrate winning. The NBA2K League draft was hosted by the gamer savvy, Dirk & WNBA legend, Swin Cash. Just days after we wrapped up our Final Four productions in San Antonio, we quickly took off to New York for another first-time event: the NBA2K League Draft, at Madison Square Garden. As NBA Commissioner, Adam Silver, mentioned in his opening remarks, this day will go down in history. The 7-round live format draft was the launching point for the NBA2K League’s debut season. The season took place over the following 6-months and was broadcast live to thousands of viewers on Twitch. Following New York, we knocked out a USA vs. China Women’s Basketball exhibition game at KeyArena before partnering on another local project here in Seattle. With past USA Rugby experience under our belt, we joined the MLR as the official game presentation partner of the Seattle Seawolves. Justin spearheaded the game presentation and spent the inaugural season at StarFire Stadium in the Director’s role. The Seawolves went on to win the 2018 MLR Championship. Even in an inaugural season, the Seattle Seawolves tout the best fanbase in the MLR. Scene from the inaugural Las Vegas Aces Intro Video shoot at Mandalay Bay Arena. Things getting weird at Storm Media Day is a annual tradition and I wouldn’t like it any other way. Derrick (above) is Sue’s human script holder. 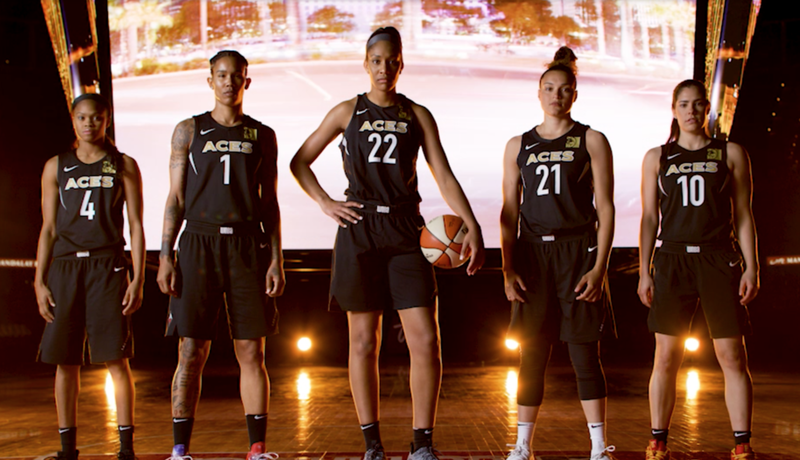 As we prepared for production of another Seattle Storm season, the summer pace ramped up when we struck a partnership with MGM to add a second WNBA team to our summer schedule - the inaugural season of the Las Vegas Aces. Although planning started at the beginning of the year, by this point in the calendar, we were knee deep in Media Day planning and finalizing creative concepts for both teams. I’ve always dreamt of producing Media Days and season content for multiple teams, so having this opportunity in my hometown and in the entertainment capital of the world was a dream realized in 2018. As part of Seattle Storm Media Day planning, we re-imagined a 2015 Storm Fan Favorite for Season 2 of ‘Between Two Birds’ with Sue Bird. We removed the original B2B set and suited up Sue & guests in full blue spandex outfits to film against a blue screen. The idea was to host interviews in a “head-to-head” off-beat way with guests while enabling us maximum editing options in post. The result was another masterpiece that videographer/editor David Albright and I have deemed as our best collaboration to date. (Shouts to Sue Bird Racing & the Storm Mini Games.) Season 2 featured interviews with rookie Jordin Canada, All-Star Jewell Loyd, MVP Breanna Stewart & Soccer superstar Megan Rapinoe. I’m not going to the let the bird out of the cage just yet, but there’s been interest from several players & celebrities to participate in B2B Season 3. Stay tuned, peeps. While June featured some of expected annual events like Brooks PR Invitational, BET Celebrity Basketball and Nike 3on3 at LA LIVE, it also brought on a few additional new events for 3 Point. The NBA hired us to direct the NBA Draft 2018 while 10th Street Productions brought us to Atlanta to produce the pitch at the MLS Beltline Block Party at MLS All Star. Our production included the premiere of the MLS Celebrity Soccer game and stage management the following night at the MLS All-Star Concert featuring 2 Chainz. By August, we were fully up and running, simultaneously producing two WNBA game presentations in both Seattle & Las Vegas. 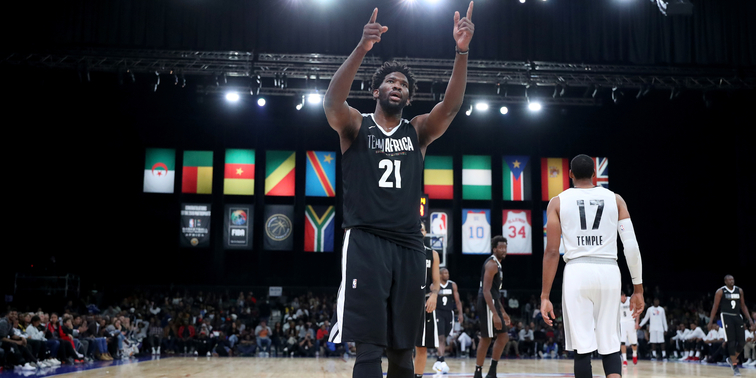 Meanwhile, Derrick spearheaded production management for NBA Africa Game 2018 which marked the second straight year 3 Point has had been involved in producing the international exhibition NBA game. The experience was amazing in 2017, and Derrick returned raving after 2018’s event. It still amazes me the frequency that we’re granted these once in a lifetime opportunities. All of us at 3 Point are extremely grateful to be in these positions and refuse to take them for granted. September was one for the history books. The Seattle Storm entered the 2018 WNBA Playoffs as the number 1 seed and finished the season as the 2018 WNBA Champions. There’s some important timings worth mentioning here, the 2018 Storm season marked the final season in the historic KeyArena. For the Storm to go on the run they did throughout the season, bringing life and energy to KeyArena for its final season, was something divine. The nail-biting dramatics of the Semi-Finals Series ending within the final seconds to send the Storm to the Finals was exhilarating for the entire city of Seattle. The Storm went on to sweep the Washington Mystics in three straight games - and we went along for the ride, traveling to DC to watch the team capture their 3rd title in franchise history. 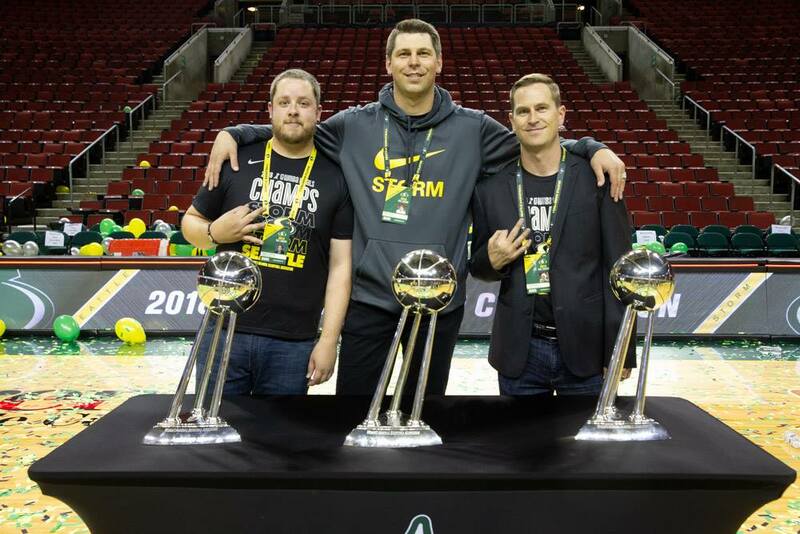 To add a cherry on top, we sent KeyArena off in style by producing the Seattle Storm Championship Celebration. I’m proud to say that I made the last Director’s call for confetti (and balloons) to drop in the arena I grew up attending games in. Dreams come true, kids. Keep dreaming. 3PT crew following the Championship Celebration. At NBA Fan Day 2018 players & Chinese celebrities team up in skill challenges and shooting contests. October came quickly and sent us immediately out to Shanghai for NBA Fan Day 2018 featuring the Dallas Mavericks and Philadelphia 76ers. 2018 marked the 4th straight year that we’ve traveled to China as part of NBA Global Games to produce Fan Day specifically. After returning, we revisited a past consulting project with the San Antonio Spurs which helped their game presentation department prepare for the 2018-19 season. Shanghai has become a familiar place for us at the end of each year traveling out in back-to-back months for the past 4 years straight. The 2018 Pac-12 China Game featured Yale vs. California at Baoshan Arena in Shanghai. 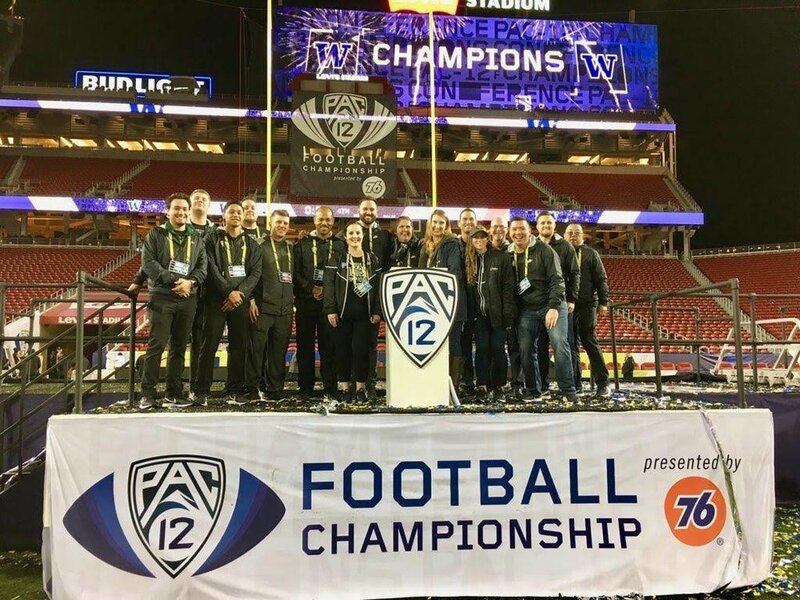 Once we wrapped in China, we continued working closely with the Pac-12 to spearhead field management of the 2018 Pac-12 Football Championship at Levi’s Stadium. To add to our flurry of events to close out the year, we added another first-time event: The Rugby Weekend Tripleheader in Chicago. Appropriately named too, boasting three back-to-back-to-back winter rugby matches hosted in the Windy City at legendary Soldier Field. Justin is still thawing out. 3 Point and the Pac-12 Conference have grown from vendors to partners to family over the years. December projects rushed in at blizzard pace, and on a personal note, my wife gave birth to our 3rd child, Geri Noelle Heuer, so I didn’t travel on a majority of them. While I was on paternity leave, the crew crushed a series of events throughout the country including Under Armour All-America Volleyball, CBS Sports Classic and (another!) first time event, Fort Myers Tip-Off. Following the holidays, I rejoined the crew in Miami to revisit a project we haven’t had the privilege to produce since 2015, Capital One Beach Bash. The event ended the year with a bang… like it literally ended with a fireworks show. It also produced the photo of the year, captured by Justin. Rewinding, that was a wild year, and 2019 has already picked up where 2018 left off. Thanks for following along with us; we’ll continue to post more blog entries about our travels, events and experiences moving forward. Toronto played host to NBA All-Star 2016, where 3 Point Productions programmed the Samsung LED Court as part of NBA Centre Court. The NBA's fan fest featured over 40 basketball activations, serving as a basketball mecca for hoop heads. As always, music is a big part of All-Star festivities and NBA Centre Court was no exception. I had the privilege of sharing Samsung LED Court DJ duties with the world-famous, DJ SNS. In addition to interactive contests and challenges, programming included Meet & Greets with NBA stars Paul George, Andrew Wiggins, James Harden & Karl Anthony-Towns, each sharing their favorite artists and songs with the fans. Throughout the weekend, I kept my ears open to find out what other NBA DJ's were playing and there was one common theme that couldn't be avoided - Drake. The Canadian-born rapper basically owns the airwaves in "the 6" and his latest and greatest hits were on blast throughout the weekend. 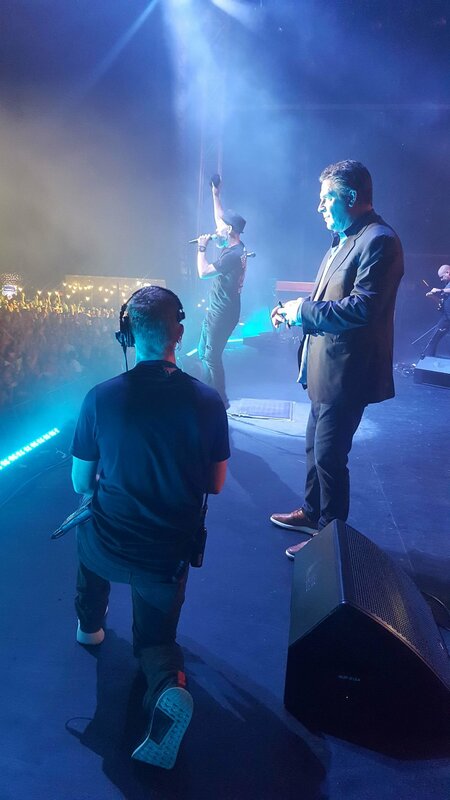 At 3 Point Productions, we believe the soundtrack to any event is extremely important in providing a first-class fan experience. Our Sports DJ Sound Off series is designed to help you better soundtrack your events and game nights.